Local Pet Photographer, Gabrielle Rundle-Thiele, will be raising funds for animal rescues throughout September with Tails of Time Pet Photography's Lend a Paw Campaign. Lend a Paw offers pet parents the chance to have their beloved pets professionally photographed for just $99, with $60 from each session being donated to their choice of 4 participating local animal rescues. All participants receive a fine art print of their favourite photo to commemorate the occasion. 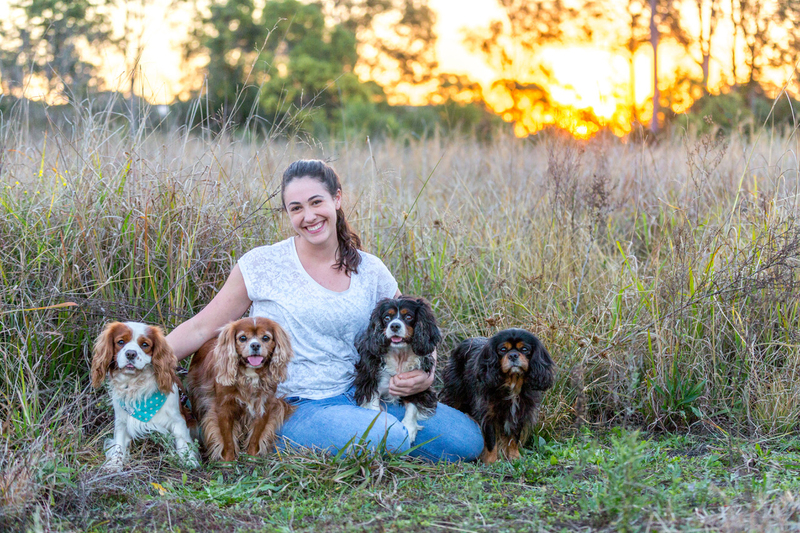 With a choice of rescues including Best Friends Rescue, South-East Queensland K9 Rescue, Chihuahua Rescue Queensland and Cavalier King Charles Rescue Queensland, lovers of purebreds and mixed breeds, dogs and cats are all covered. “I have been fostering kittens from newborns to 8 week olds for a few years now, and I know how hard these small rescues work to get funding and to get animals the care they need and into their forever homes. I wanted a fun and unique way to get the community involved,” says Miss Rundle-Thiele. Lend a Paw is for all sessions booked from September 1 - 30, 2018. Lead shot: Tails of Time owner Gabrielle Rundle-Thiele with Harley, Kokoda, Deniki and Henry.